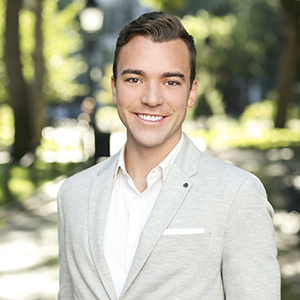 Patrick began building his professional career while obtaining a bachelors degree in architectural studies at Philadelphia University. Before graduating in 2012, he worked hands-on with a renowned construction management company, overseeing every aspect of high-end commercial developments, including Mecerdes Benz and Walmart. Simultaneously he managed to juggle a second internship with a Philadelphia real estate developer who is a major proponent in the successful development of the Fishtown neighborhood of Philadelphia. Using his education, natural skills, and innate aptitude for the real estate industry, he became the head of property acquisitions for a prominent real estate developer in Brooklyn. Thereafter he became the executive assistant to the #6 associate broker at Douglas Elliman, managing some of the finest real estate sales New York City has to offer. In the Summer of 2016, Patrick joined the Thomas-Senior Team at Compass as the Team Operations Manager and Marketing Coordinator. The seamless transition transpired into an effort to provide full comprehensive support to not only the team, but also every client that entrusts his team with the ability to provide exceptional service and results. With proven success in marketing, sales, and operations, along with a deep intellectual curiosity and willingness to take on any task, large or small, Patrick has become an integral member of every team of whom he has worked. In his spare time, Patrick enjoys the culinary culture NYC offers, traveling, and interior design.